Speak With A Live Tech 7 Days A Week & After Hours! Free Towing with all Auto Repairs within 35 Miles! Crown Transmissions offers the best value and service in Atlanta and surrounding cities since 1995. The majority of our Diagnostic Test results are not even transmission related. With today’s fully electronically controlled transmissions, drivability (engine related) issues can cause the transmissions to malfunction. Simple repairs such as Sensors (speed), Solenoids or other engine components such as TPS (throttle position sensor) can resolve most issues. It is extremely difficult to find any business that has the perfect combination of a solid foundation , which is built on a caring and passionate owner and knowledgeable professional employees. There are many choices of “Auto – Transmission” repair facilities when it comes down to repairing your vehicle, assuming they all have certified technicians and offer quality work, but what it boils down to is cost. Which shop would have the lower overhead and non commission base managers and employees. Crown Transmissions does!! Considering the fact ( We know ) that transmission issues are usually unexpected and the experience of having one rebuild not so pleasant and the cost and being without a vehicle could put a family under strain.The least we can do is to make this experience as pleasant as possible, by being honest, ethical and courteous. We vow to perform the best quality work possible, so you can enjoy your vehicle with a peace of mind for years to come. 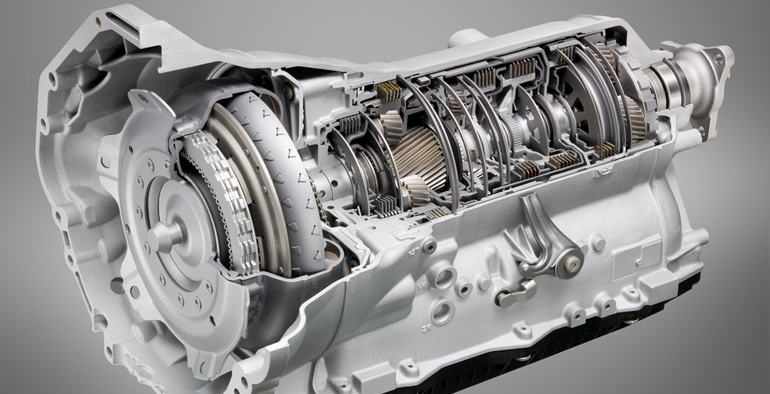 A transmission repair consists of replacing the minimum amount of parts to make the transmission operational, rather than a rebuild or replacement. When failure causes too much damage within the transmission, repair may not be an option. However, for many transmission malfunctions, a repair is all that is needed to get many more dependable miles of service. We have had many customers over the last 20 years that were told they needed a new transmission, when in all realty all they needed is a simple repair. The type of transmission failure and the number of miles desired from the vehicle will help to determine if a transmission repair is the best option or if transmission replacement is appropriate. CLICK HERE TO SEE OUR CURRENT SPECIALS!